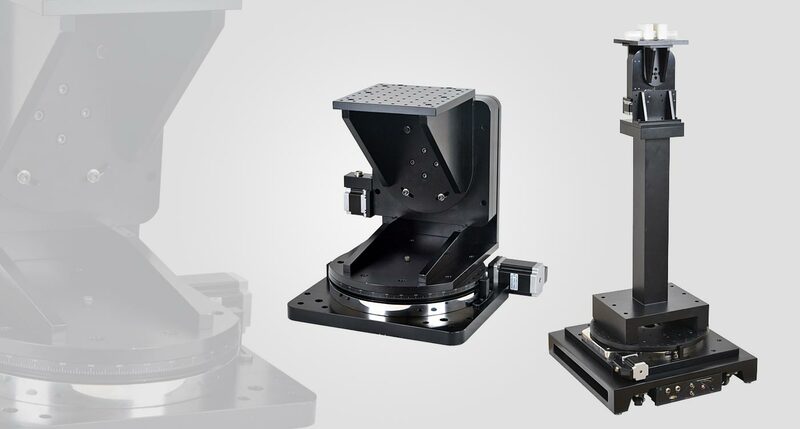 Holmarc’s azimuth antenna positioner consists of horizontal heavy duty rotation stage driven by stepper/servo motor mounted horizontally. 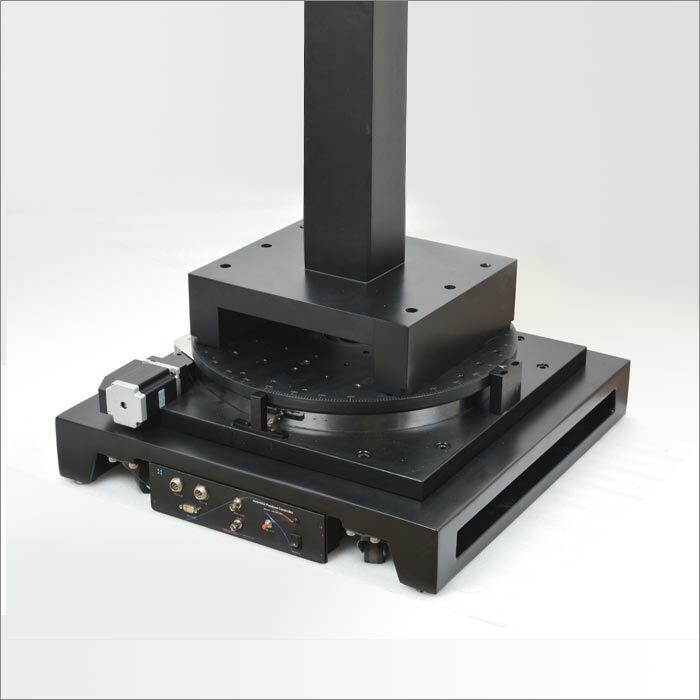 Antenna can be positioned at 1 meter height from the surface of the positioner using antenna mast made in wood or plastic. 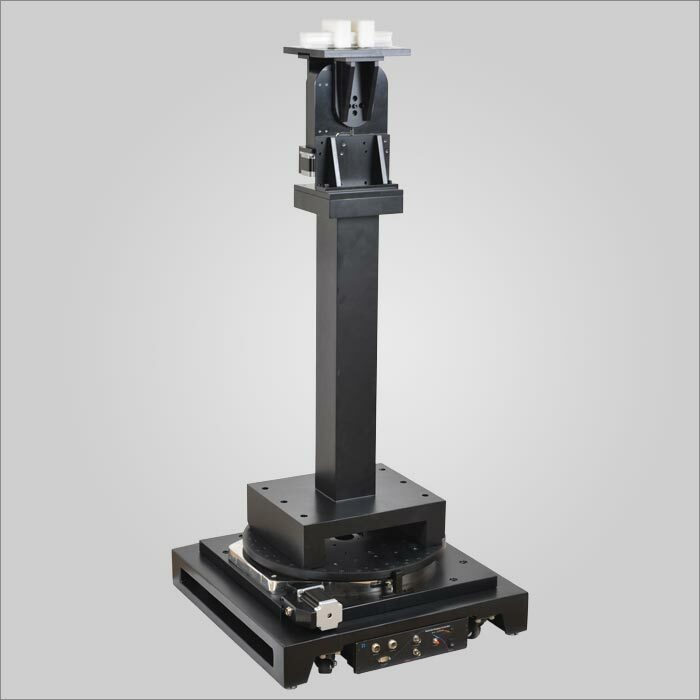 We provide suitable antenna mast along with the system as per customer specifications. 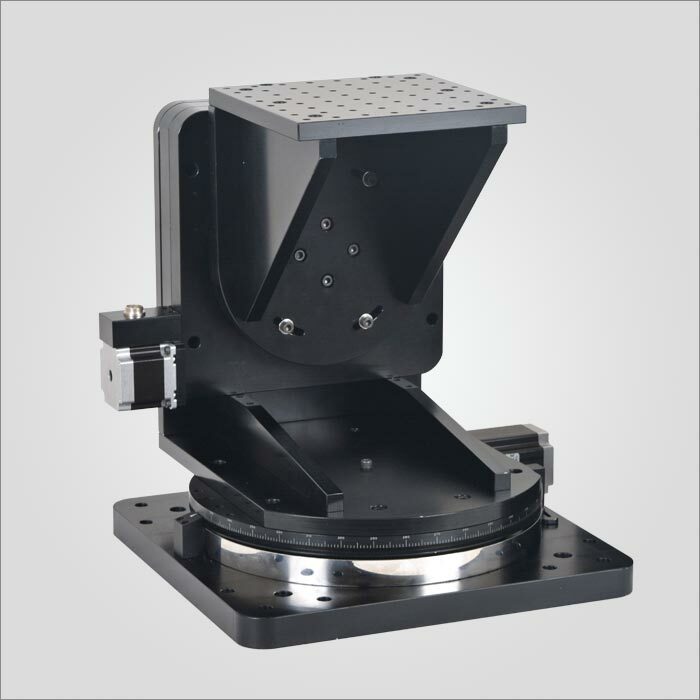 There are two standard models having 300 mm diameter (medium duty) and 500 mm diameter ( heavy duty) mounting area. Construction material is aluminium alloy for medium duty positioner and steel for heavy duty positioner. Stepper motor or BLDC servo motor is used as actuator. 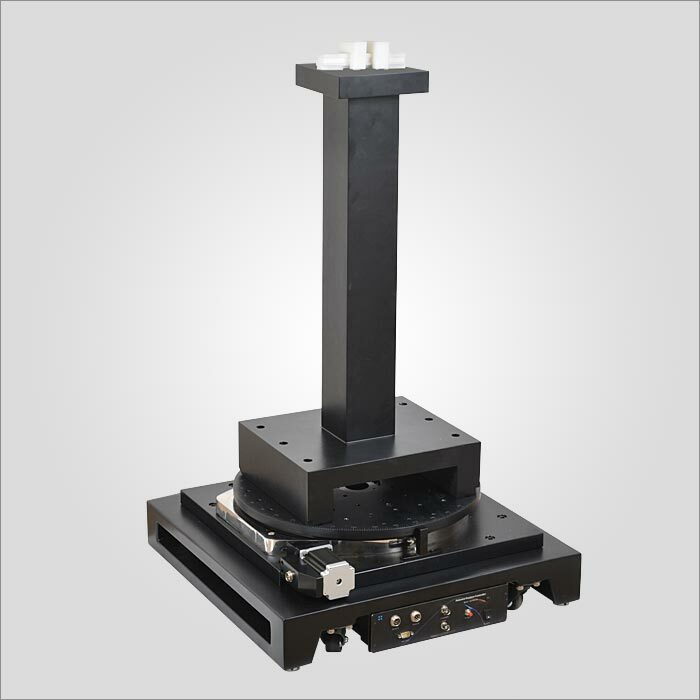 Manual positioning facility is provided by a hand wheel fixed to worm shaft. Rotary graduations in degree with one degree resolution is marked on the rotating surface for visual reference.